Mira Debs is the Executive Director of the Education Studies Program. She teaches EDST 110: “Foundations in Education Studies,” the Senior Capstone Colloquium, as well as “Cities, Suburbs and School Choice.” She coordinates opportunities for Ed Studies Scholars and serves as an informal advisor to students who are interested in studying education and/or preparing for a career in the field. Dr. Debs graduated from the University of Chicago, received an MPhil in European Politics and her teacher training from Oxford University and her PhD in Sociology from Yale. Dr. Debs studies urban education, school choice, school diversity, public policy, and progressive public schools. Research from her book, Diverse Parents, Desirable Schools: Public Montessori in an Era of School Choice (Harvard Education Press, 2018) has been featured in the New York Times, the Washington Post, Education Week and the Christian Science Monitor. Other research examines how groups form collective identity through objects, history and their children’s schooling including studies on Italian art, India’s independence struggle and the post-civil rights memory in the American South. Her work has been published in the American Education Research Journal, New York Times, Cultural Sociology, Nations and Nationalism and the Journal of Montessori Research. Prior to graduate school, Dr. Debs taught high school for five years in Boston area public schools and worked in college admissions at the University of Rochester. 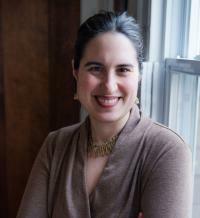 She is a founding Board Member of Elm City Montessori School and one of the founders of Montessori for Social Justice, a grassroots organization of public Montessori educators. She started playing viola in a public school music program in 4th grade and continues to play with local New Haven ensembles. She also quilts and makes large meals for spontaneous dinner parties.